Thermal transfer printing on film | Eidos S.r.l. Thermal transfer technology makes Swing an ideal solution for overprinting variable data (dates, forward or backward number sequences, text, lists of ingredients, barcodes, two-dimensional codes, logos) on plastic film or paper. A solution which allows to print directly on the production line, to the advantage of printing speed and quality. With Swing you can print up to 1000 mm/s or up to 350 prints/minute for high-definition applications (up to 12 points/mm - 300 dpi) without ever stopping the production line. With the thermal transfer printing you can change the head without changing the plate. And you can save thermal transfer ribbon by using the ribbon saving functions. Swing has a bracketing system ready for the most popular machines on the market and comes in a variety of models according to the operation of the packaging machine. With Swing you can print variable data on small batches or intervene on the printing parameters directly on the touchscreen, by connecting to a computer or by using a USB flash drive. Variable data must be overprinted on the moving film on non-stop continuous packing machines. 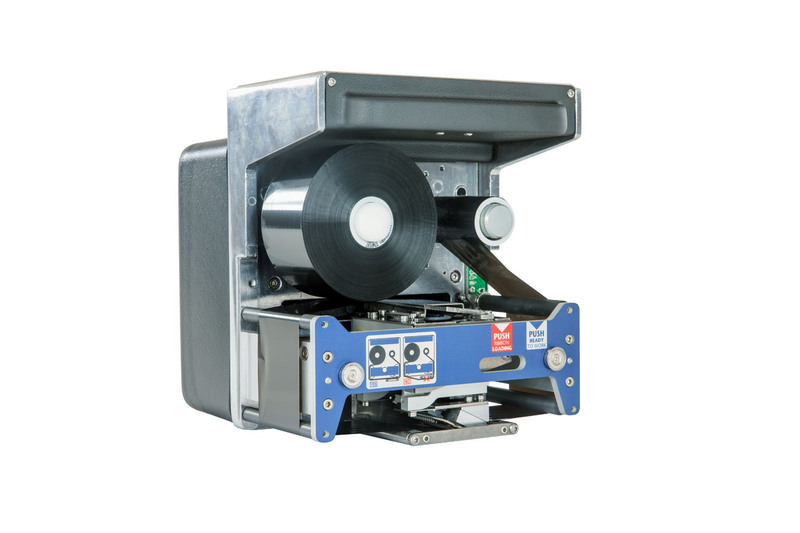 Since the movement speed of the film is not constant an encoder device must be fitted on the printing roller to allow synchronism between the printing speed and the film speed. The SWING with a fixed printing head is used for this application. 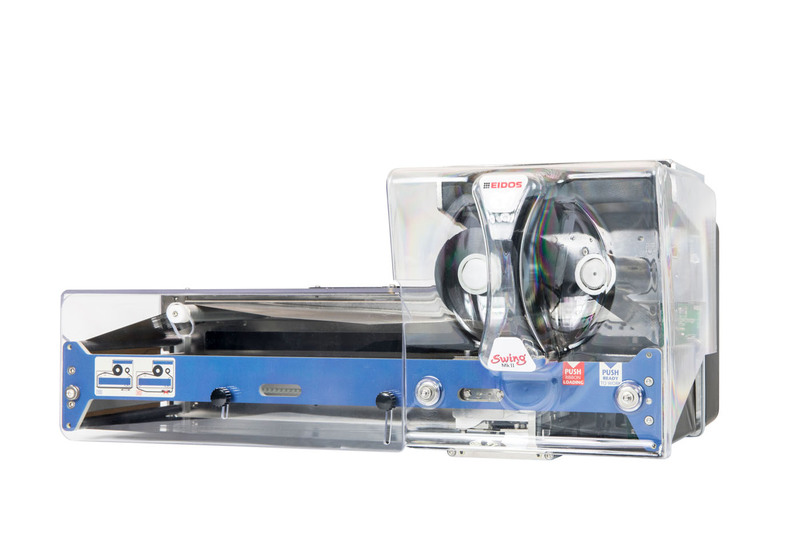 Recommended the model for this use is the Swing Series C.
On intermittent packaging machines, the film advances in steps and overprinting with Eidos technology is performed during the stopping times of the film. The SWING with a mobile printing head is used for this application. Recommended the models for this use is the Swing Series .ie and the Swing Series X. 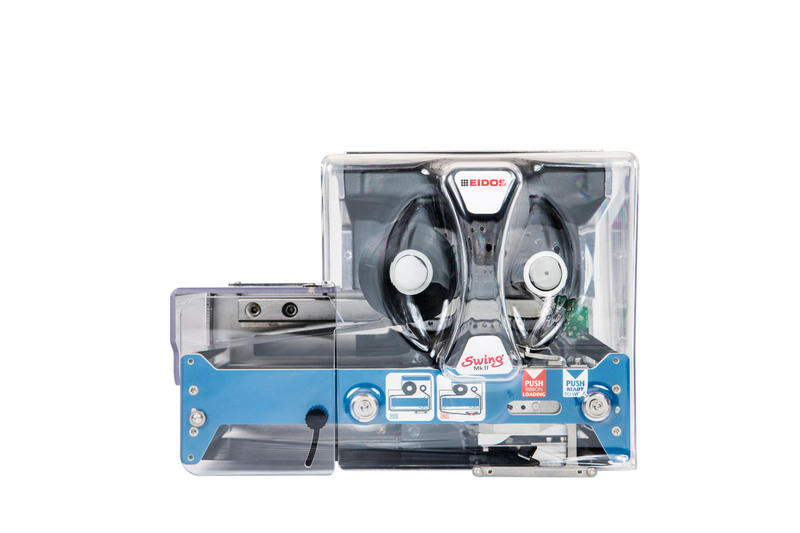 For multi-track packaging machines, Eidos has created a series of specific printers characterised by variable width for thermoforming and heat-sealing machines and designed to replace mechanical date stampers on multi-track applications. Recommended the models for this use is the Swing Series .X and the Swing Series XL. Printers for non-stop continuous packaging machines. Printers of multi-track packaging machines with wide text. 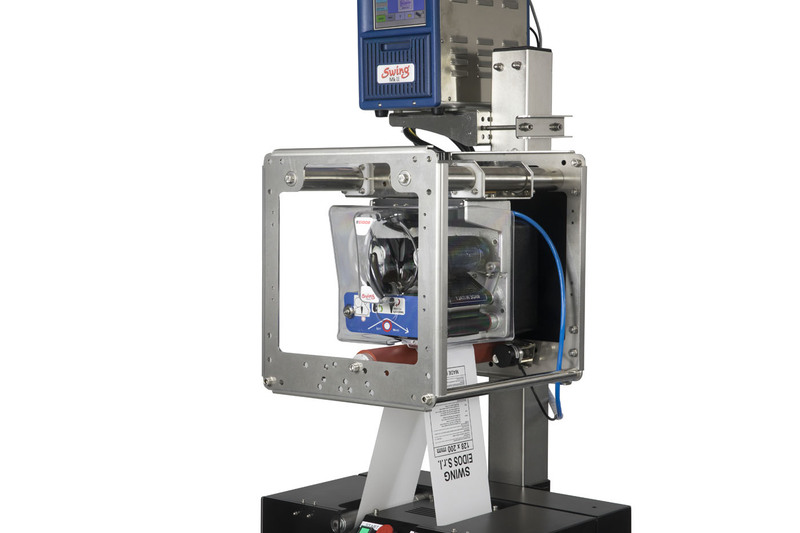 Printers for intermittent packaging machines. Printers of multi-track packaging machines with narrow text.